Parliament has passed a new Bill, which aims to make the New Zealand tax system more efficient by abolishing gift duties. New Zealanders are set to save a cumulative NZD 70 million a year in the future on complaince costs, following the passage of a new Bill though Parliament. 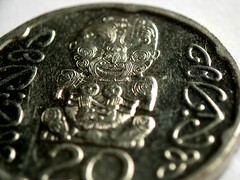 The new Bill abolishes gift duties from the New Zealand tax system, with the change scheduled to take effect on October 1st 2011. The Taxation (Tax Administration and Remedial Matters) Bill was originally introduced to Parliament in November 2010, and passed by Parliament on August 17th. The National Party is looking to make an extensive set of changes to the country’s welfare system for young benefit recipients. The National Party has revealed its new plans for reforms to the youth welfare system. 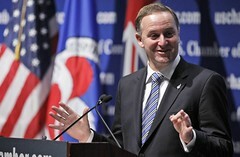 The proposed changes were outlined by Prime Minister John Key in his keynote address to the National Party’s 75th conference, held in Wellington on August 14th. Starting from next year the governments wants the country’s schools to report when students leave schools. The information would be shared between the Ministries of Education and Social Development. The move is intended to provide the government with conclusive and detailed statistics on the economic and social situations of young beneficiaries. The latest shock to international financial markets is putting fresh doubt over the feasibility of the government’s proposed state asset sell off. Prime Minister John Key revealed this week that the current economic environment means that the planned sale of several government assets would need to be delayed, at least for several months. He said that attempting to proceed with the sale in the current level of market uncertainty will mean that the government will see a disappointingly low return. New Zealand retailers want to see Goods and Service Tax instated on consumer online purchases, to equalize the prices between local retailers and international online retailers based overseas. Throughout this week several comparisons have been made between the differences in prices available to consumers looking to purchase All Blacks memorabilia before the World Cup. 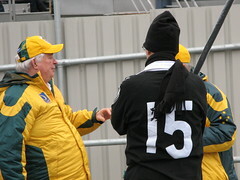 Particular controversy was raised regarding the wide discrepancy in price between replica All Blacks jerseys available in New Zealand and those offered online by overseas companies.